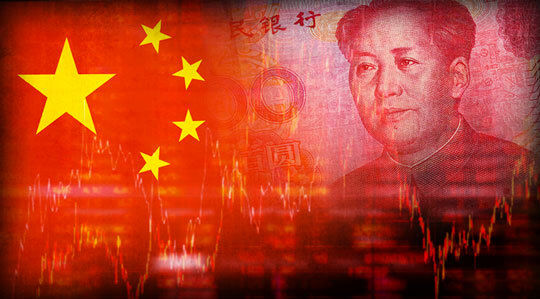 China: Heading for a Great Depression? In yesterday’s reckoning, economist and author Richard Duncan explained “creditism.” And how it came to replace good old-fashioned capitalism, now dead beyond recall. World War I forced warring nations off the classical gold standard. The Great Depression and World War II put the final stakes through capitalism. Government spending, based on the expansion of credit-backed money, was the new order of the day. Creditism scotched the Nazis. It buried the Soviet Union. It also sparked one of the great economic booms in history as it ushered in a new era of globalization. Thus, an economic backwater like China could develop into the world’s second-largest economy. But the laws of economics will not be forever conned. Trees don’t grow to the sky. Imbalances must be righted. Debts must be paid…. Creditism has produced booms and busts and the devil and all the other disorders to which a credit-based monetary system is prone. For many of these countries, the rapid accumulation of dollar reserves proved to be a curse, rather than a blessing. That sharp growth in reserves created a domestic investment boom, accompanied by rampant asset price inflation that eventually ended in financial disaster. The bubble economy that developed in Japan during the ’80s is a perfect illustration, as is the Asian Miracle bubble that followed in the ’90s. Or China today. Global recession looms once again, and the world’s central banks are running out of tools. The Chinese export-based economic model that creditism birthed is crumbling. And it could drag the rest of the world down with it. In this essay, Richard explains in chilling detail why China could be on the verge of its own Great Depression. And there’s only one way out. What is it? Read on, here.